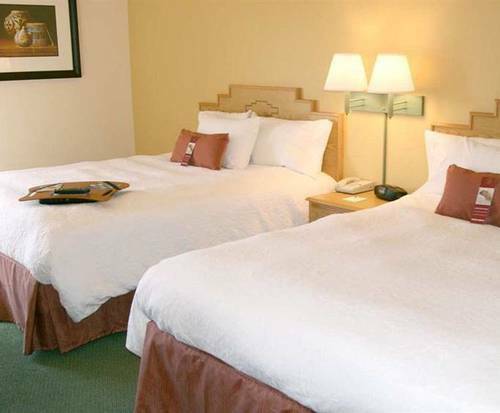 The Hampton Inn Taos is conveniently located less than one mile from NM-518. 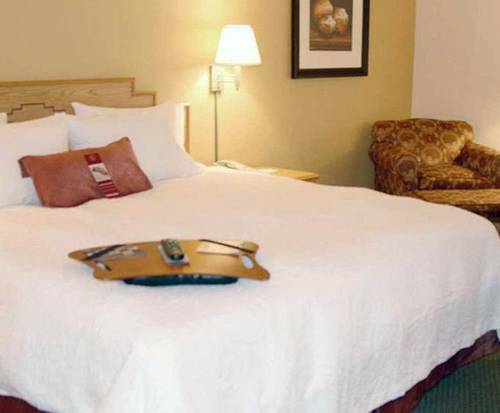 During your stay you enjoy clean, comfortable rooms, an extremely attentive staff, and great amenities. 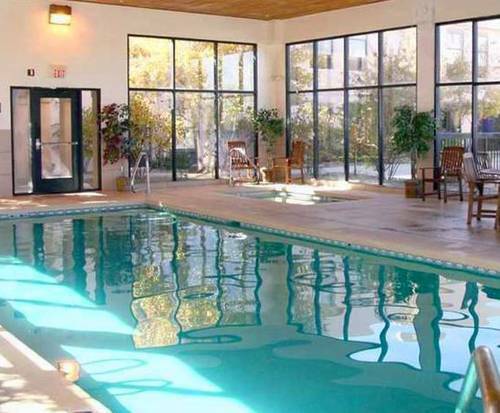 These amenities include an indoor heated pool, fitness center, free continental breakfast, and shuttle service to nearby ski slopes. Spend a day exploring Taos and be sure to check out the Harwood Museum of Art and the historical E.L. Blumenschein Home and Museum, they each have a collection of incredible art including many pieces from renowned local artists and are located only a short distance away. Exploring the hotel you're presented with sleek decor, impeccably styled with comfort in mind. The fitness center includes state of the art equipment. Weights? Elliptical? Treadmill?- You've got it, and much more! Everything you need for a complete workout is at your fingertips. There is also a heated indoor pool that features ample seating, floor to ceiling windows with great natural light, and sparkling crystal clear waters. Another great feature is the shuttle service available to take you to the slopes- be sure to eat an awesome free breakfast before you leave! The rooms are always pristinely clean and every room includes free high-speed internet and local calls, in-room coffee/tea maker, and an ironing board. There are also laundry facilities that guests may utilize. The Hampton Inn Laos is located near great dining including Mexican, Chinese, vegetarian and more. It is also less than a mile from the John Dunn House Shops- a quaint shopping center with over 20 shops to browse.